Buying a Hot Tub in 2019? Buying a Hot Tub is so exciting! Browsing hot tub websites, visiting beautiful showrooms and learning all about the different types of hot tub – but there are also some things to consider before you settle on a model to make sure that the hot tub you choose is a perfect fit for you and your family. Read on for our handy little guide on considerations for buying a hot tub in 2019! How will I get it in my garden? Hot Tubs are large and awkward, weighing as much as 600 kg unfilled – and that’s without any water in it! It’s important to get a Hot Tub that will fit into your allocated space – but that doesn’t mean that if you don’t have access to your back garden, you can’t have a Hot Tub! Many people have their Hot Tub lifted over their house by crane. To ensure that your installation goes smoothly, it is best to order your Hot Tub from a company that undertakes the installation and crane hire for you. How do I connect my hot tub to an electric supply? 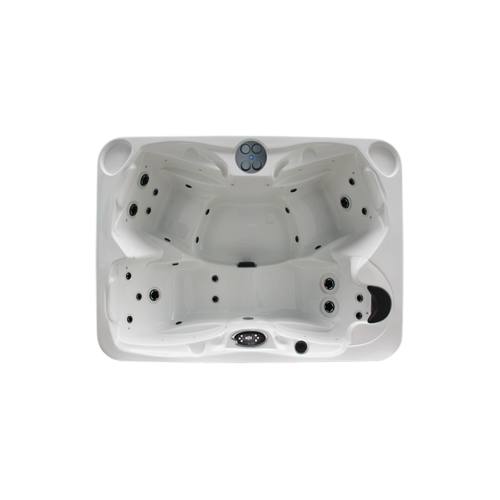 Hot Tubs requiring a standard 3 pin plug are popular for their convenience – they can just be plugged into any standard household socket. They also tend to be cheaper to buy! 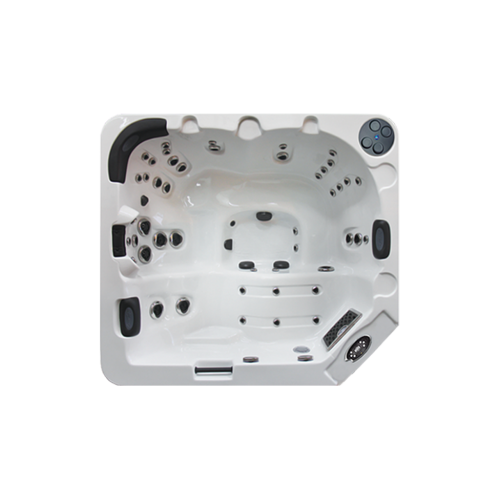 The downsides to these types of Hot Tubs are that they will have limited features, lose temperature quickly and be higher maintenance. 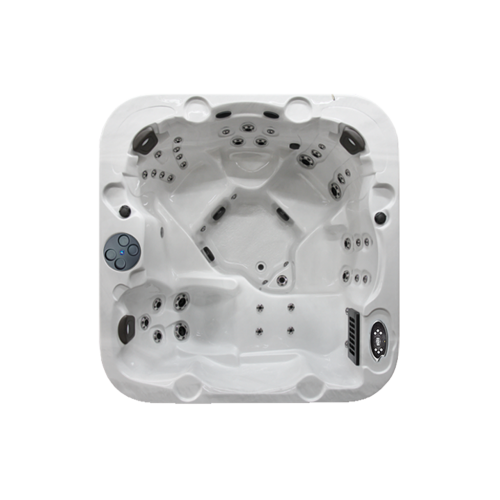 On the other hand, a Hot Tub requiring a 32-amp supply will have more powerful pump(s), bigger jets that will deliver a much better massage and a more effective heater which will keep the water hotter for longer. GOOD TO KNOW: Hot Tubs requiring a 32-amp supply will need a dedicated electrical connection from the household electrical supply, installed by a qualified electrician - costing on average £300. How many jets should my hot tub have? On average, a quality hydrotherapy spa will have no more than 30 jets per massage pump. If there are more, take a look at the jet portals. If they are very small, the water pressure will not offer hydrotherapy; instead, it will mark your body and is likely to hurt any sore muscles and joints – exactly the opposite of what you want in a Hot Tub! Loads and loads of jets do not mean you have the best spa in the world – probably the opposite applies. It’s also a great idea to look at the size of the spa in comparison to the amount of jets the spa has; having lots of jets in a small spa may create too much turbulence. Plus, it all depends on the size of the pumps that accommodates those jets; there is no point have a low HP pump to power lots of jets, and similarly a high HP pump to power few jets, as the massage provided will not offer the hydrotherapy benefit it should. GOOD TO KNOW: If a jet has a big face, it doesn’t necessarily mean the jet itself is big. The key is to look at the portal where the water comes out from. A good hydrotherapy spa will offer a range of jets including rotational and directional, as well as the smaller jets offering a high pressure and intense flow for a deeper tissue massage. How many seats do I need? Obviously, this depends on how large your family or social circle is! Statistics claim that 80% of the time there’s just 1 person in the hot tub, 10% of the time only 3 or more persons and the other 10% is when there’ll be a small gathering or party! 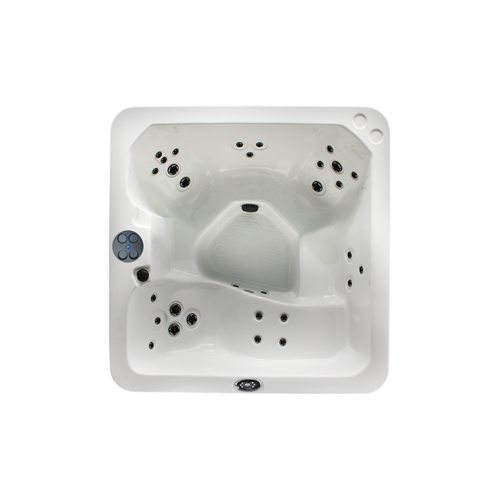 Choosing your seating will also depend on what you want to use your hot tub for: hydrotherapy or pleasure? Hydrotherapy requires a lounger, higher cool down seats and wrap around, deeper seats with large and powerful jets. It’s always important to make sure that there’s a seat to fit everyone who will be using the hot tub regularly. For instance, are your shoulders comfortably under the waterline or does the water level mean you require a snorkel? GOOD TO KNOW: Chinese-made hot tubs have much smaller seating, whereas American-made seats seem to be wider and more accommodating to those who are ‘bigger-boned’! If you need help – break away from the internet and seek assistance at an established hot tub showroom. Hot tubs have been around in the U.K. since the turn of 2000, so choose someone who’s been around the block a few times and know their Hot Tub range inside-out. This is THE most asked question from hot tub shoppers. The answer is that while yes, your electricity bills are going to go up (naturally, as you’re running an extra appliance!) it completely depends on the insulation behind the hot tub cabinet. Insulation is normally not standard and Hot Tub models may have different types of insulation available, so it’s important to know the difference before committing. If a hot tub comes with insulation, it will likely be more expensive to buy; however, it will cost a lot less to run! GOOD TO KNOW: Many of the Chinese and USA-made hot tubs do not have insulation, or they have an inferior (and likely much cheaper) substitute. This is either because the country from where it was made has a much warmer climate than the U.K. and therefore there is no call for insulation, or the manufacturer has missed out insulation to reduce the cost. Full foam insulation – Expanding foam in every area between the underneath of the shell and inside the cabinet. This is the most efficient type of insulation you can get for your Hot Tub and will help to reduce your running costs. Very little or partial insulation – this is where the shell just sits on a frame surrounded by cabinet panels. Without the panels, you’ll be able to see straight through from one side of the hot tub to the other. ‘Trendy’ insulation – There will always be some scientific story with this one. It could be Celotex panels attached to the cabinet, silver foil used by N.A.S.A spacemen, loose fibre in plastic bags, even Rockwall type rolls. Any of these are used as an alternative to full foam and whatever is used is stuffed manually behind the cabinet as an afterthought to insulate hot tubs that were not designed for our climate. Be prepared for some of the most bizarre and far-fetched sales stories to justify this type of insulation – From being the latest high-tech solution to it being pest resilient and flame resistant (who is going to try and set your hot tub on fire?). How will the insulation affect running costs? We’ve given you some estimates on what running costs to expect, depending on what insulation you choose. They are calculated assuming that the hot tub is left switched on 24 hours a day, 7 days a week, 52 weeks a year, and using it for an hour a day at 40 °C. 1. Full Foam Insulation: around £400 per year. While this is usually the most expensive option, the hot tubs have more reliable components, better guarantees and will save you money in the long term (up to £1,200 per year!). Full foam insulation also gives your hot tub more structural support, by supporting the frame when the hot tub is filled with a tonne of water and numerous bathers! 2. Partial Insulation: Around £1,600 per year*. This is because the heat WILL escape through the cabinet. 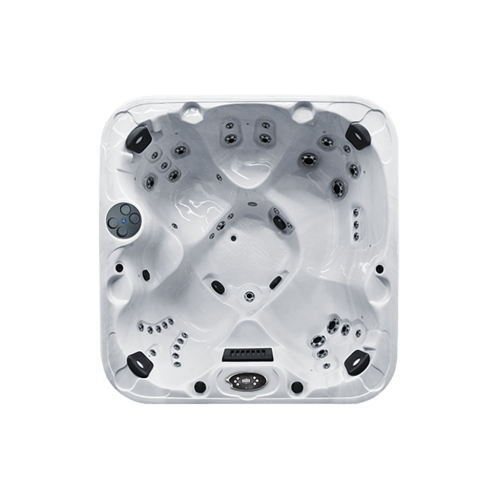 The hot tub will also be very noisy, suffer from leaks (as there is no structural support of the pipes and jets) and the shell may crack or blister due to inadequate structural support! 3. ‘Alternative’ Insulation: This ‘trendy’ insulation may have been presented in such a way that it seems very trendy or on point – it becomes infinitely less appealing when it costs you £800 per year* to run. This is because again, the heat WILL escape through the cabinet. Regardless of any trendy types of insulation, the hot tub will suffer from the same downfalls as hot tubs with partial insulation – being very noisy, leaking and the cracking/blistering of the shell. So why do people buy hot tubs without Full Foam Insulation? The salesman lied about the insulation on the hot tub they bought. They were just too busy and bought from the first store they found. The insulation story on what to buy and what not to buy was so confusing that they just bought either the hot tub that they liked the most. They did not know about and was not told about the importance of insulation. They was not made aware of the importance of insulation in determining running costs and just wanted a to buy a hot tub. They had no intention of using the hot tub in the winter and therefore didn’t need to worry about insulation. They wanted to spend less and only saw the saving in the purchase price and hadn’t anticipated the running costs in the long term. They intended to stuff the inside of the cabinet with Rockwall insulation and replace every 3 months. GOOD TO KNOW: Do not believe internet jargon or listen to fake news from sales people. Consider your own home – what type of insulation do we use in the walls of our own homes? The answer is Full Foam Insulation. Very little heat is lost, we keep out the cold and noise from outside and our heating bills are lower! Whew! Bit of an information overload there – but its all super important to finding the right Hot Tub for you. If you want more help, you can find more tips and tricks in our handy little Buyers Guide that you can Download for Free straight from our website! Where Can I Buy a Hot Tub in 2019? What is the best Hot Tub Insulation Type?